Item listed is 2 Wolf Underwater Lights. Manufactured by the Wolf Safety Lamp Company. This item is unused. 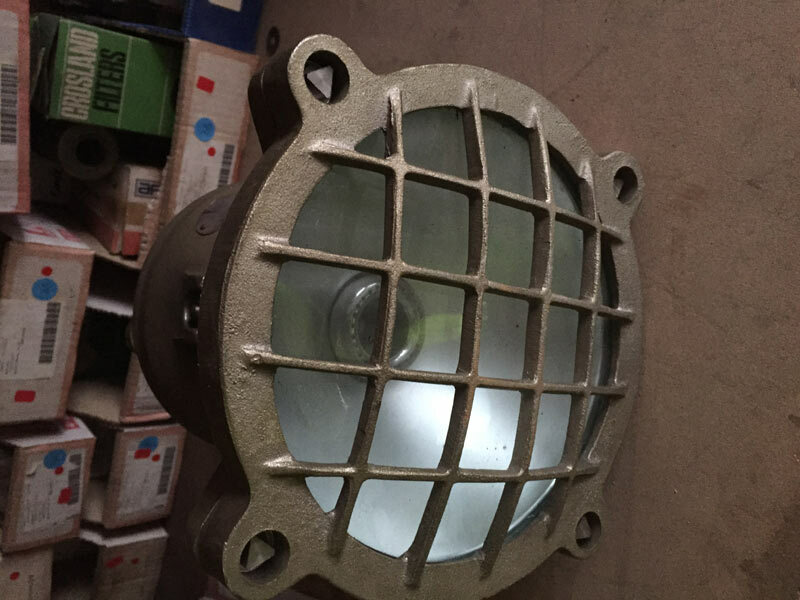 Originally Used to meet the rigourous requirements of underwater explosion proof lighting for coal mines, certified for use in Zones 1 and 2 industrial hazerdous areas, typically in oil and petrochemical industries for tank cleaning and pipeline inspections. 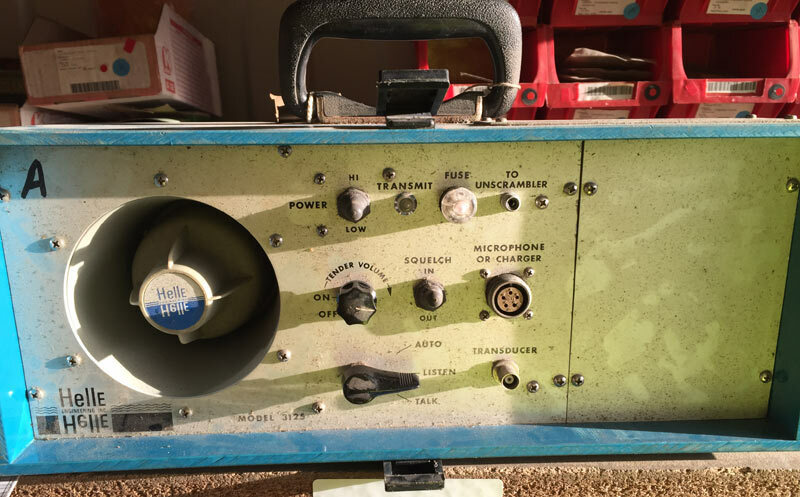 Item listed is a Helle 2 Diver Radio. This item is sold as seen and is untested. 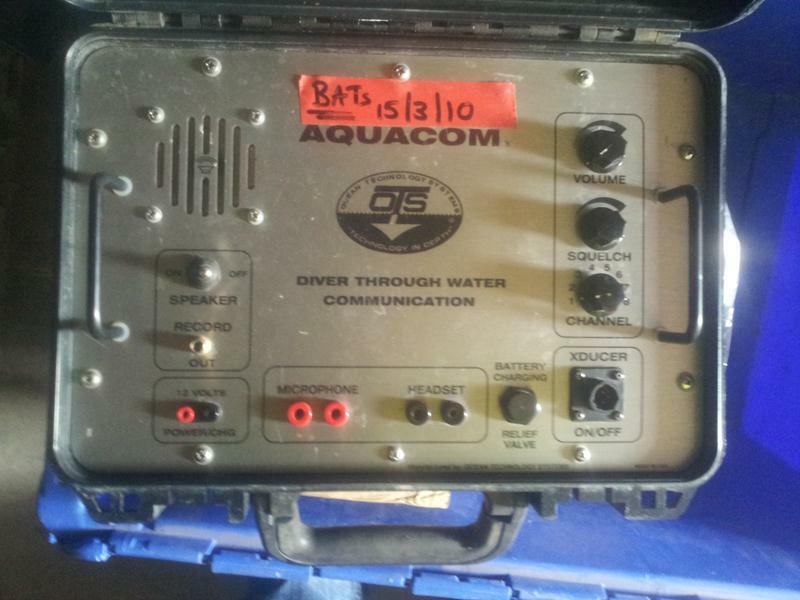 Item listed is a Ocean Technology System - Through Water Communications STX-101, 4 channel station. The Aquacom STX-101 surface transceiver is a 5watt multi channel single sideband underwater telephone designed with the professional Search & Rescue teams in mind. The STX-101 offers four channels that match the SSB-2010. Diving Surplus Supplies specialises in the selling of Second Hand and Used Commercial Diving Equipment. The equipment we have available ranges from large manufactured items such as Diver Decompression Chambers and Wet Bells to small components such as Gauges and Valves. Please note that the items available through this site are subject to constant change. Make sure to check back regularly to catch the best deals. We sell products that are either End Of Line, Ex Display or Used. Individual product descriptions show the condition of specific items. Shipping costs will be subject to weight and distance. Please get in contact if you would like to confirm our shipping charges to your destination. Contact us for more information about any of the items you see on our website.